Does Pedicure Risk Your Health? You have been walking all day long and to round up the day you head to a salon for a heavenly pedicure. It feels so nice to just put your feet in warm water and let the beautician do her magic. Pedicures have not just online has become a cosmetic treatment but a reason to escape this fast growing world to rejuvenate yourself. Men and women, both use pedicure to keep their feet healthy. But the question arises do pedicures really make your feet healthy? Well, you can say yes and no. this is because even though pedicures make your feet clean but they come with a warning tag which most of us choose to ignore. Regular pedicures can increase the health risks and can harm your feet in a long run. No matter how rejuvenating or clean pedicures are but it has its share of drawbacks. 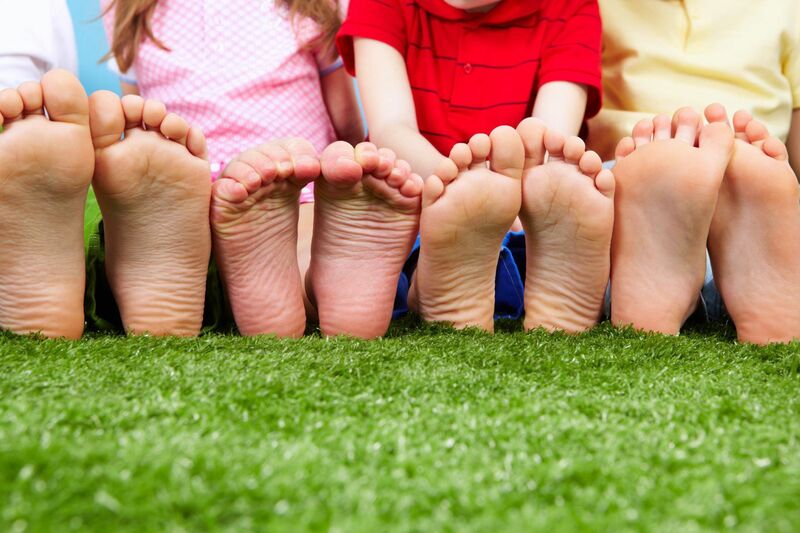 Your feet need some TLC and by that, we do not mean bacterial, viral, and fungal infections. • Dirty tubs- Never and I mean never put your feet in whirlpool tub if you are not sure if it is disinfected or not. It might contain the remnants of the previous customer. There are people who complaints of getting fungal infections after immersing their feet in the whirlpool tub. When there are back to back customers then the tub is never cleaned. • Bring your own tools- how would you know that the tools your beautician is using are sterilized? She can’t tell because they are not sterilized. This will increase the bacterial and fungal infection and to save yourself from the horror, bring your own tools. • Shave your calluses instead of cutting- never cut your cuticles or calluses. Cuticles act as a nail protective barrier and it should not be pushed back. If you want to shave your calluses then visit a Podiatrist to get the job done. • Do not shave your legs- if you shave your legs before pedicures then chances are high that you can have redness or irritation on legs. This is because shaving leaves micro cuts on the legs which act as the opening for germs. • Select the time for your pedicures wisely- select the timing in which the salon is less busy. This will give you a chance for finding clean products. Take out time during early weekends or weekdays. • Stay away from germs- the tools which they use such as cuticle trimmer or pumice stone can make cuts and leave you bleeding. This is not good because the risk of infection increases like athlete’s foot, warts, and MRSA increases. Get your nail polish removed frequently, if not then it will lead to yellow and brittle nails. Infections which look like bug bites and contain pus should be immediately shown to the doctor. Try doing the pedicure yourself at home with sterilized tools and with more precaution. Instruct accordingly to a person who will help you. A diabetic patient needs to be extremely careful while going for a pedicure as one small cut can claim your entire foot. People who have diabetes should visit a podiatrist instead of the salon as their blood coagulation is less when compared to others. Be careful be safe.